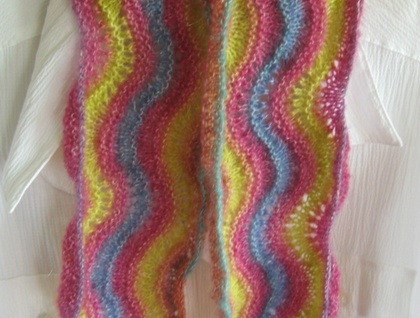 This gorgeous multi coloured scarf is soft, light, fluffy and lovely to wear! 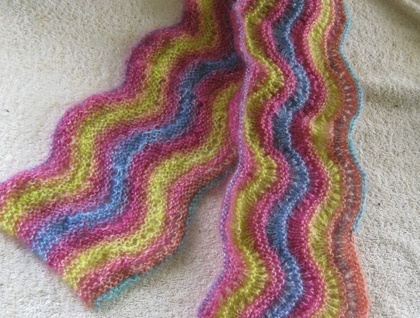 I know as I have one exactly the same in a different colour way and I wear it all the time- either just draped around my neck (the wavy stitch means it folds naturally like a collar to fit your neck comfortably) or it is the right length to fit comfortably under a jacket or coat without being bulky. 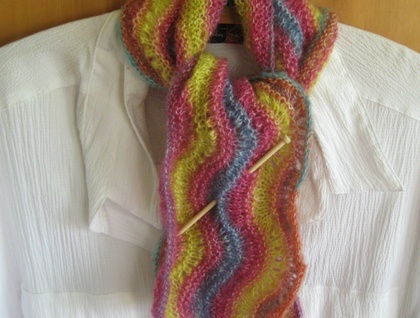 It also makes a nice cowl if folded over and pinned with a shawl pin. 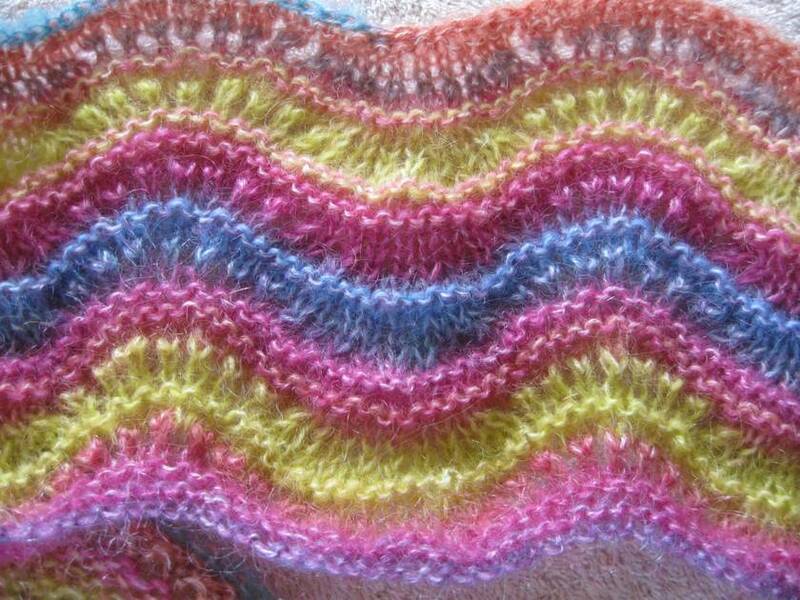 It is a blend of 40% acrylic,30% mohair and 30% wool and is best hand washed. (Double click on image to get larger photo).